Most students in grades 3 and up are working on keyboarding with a focus on words per minute. This keyboarding words per minute goal tracker is super easy to collect data on how a student is progressing. Even better, have the students monitor their own progress recording how they are improving each day. This FREE words per minute goal tracker is available in Word format and PDF (at the end of the post to download). You can print it out and write in the words per minute during the week or enter the data directly into the Word document to create a graph. Step 2 – Click on the chart. Step 5 – Enter your words per minute in column B for the correct days of the week and your chart will be created. If you like to record data with pen and paper that is fine too! Just print the document in PDF format and bring it along. Or print two to a page so you are all set to go for two weeks at a time. 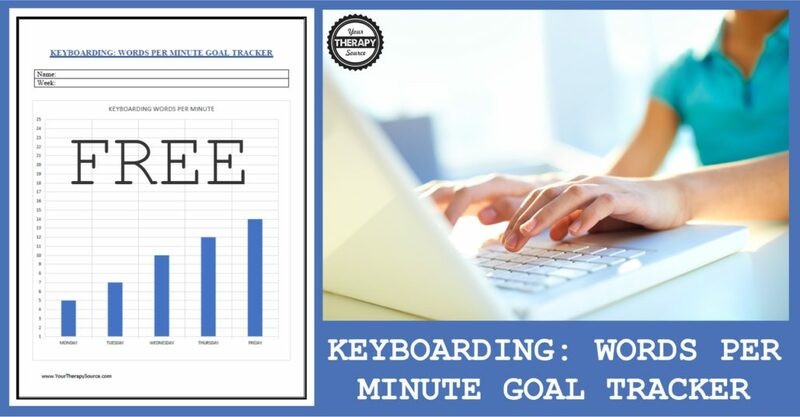 To get your FREE copy of the Keyboarding Words Per Minute Goal Tracker enter your email at the bottom to sign up for our newsletter. The downloads will open up in new tabs once you enter your email. 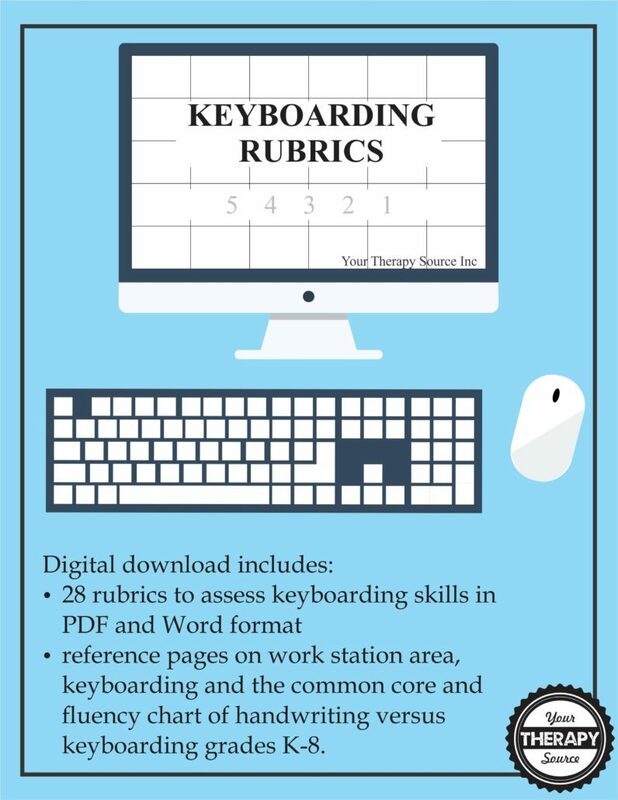 If you need to collect data on additional keyboarding skills check out Keyboarding Rubrics. This is an electronic book of 28 rubrics to assess keyboarding skills. A rubric is a scoring guide to judge performance on a specific task. Have you ever wanted to quantify general keyboarding skills, operating the mouse, word processing or keyboarding skills by grade level? Keyboarding Rubrics can be used as an assessment tool to quantify an individual’s written productivity. By using the rubric, each individual can be scored based on the same criteria.